Viknesh Vijayenthiran April 17, 2019 Comment Now! 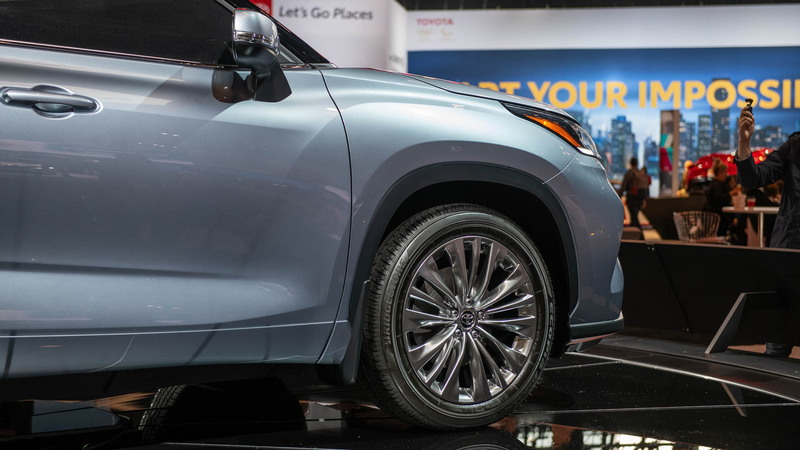 Toyota unveiled a bigger and bolder Highlander for 2020 and improved the economy, too, with a more efficient hybrid powertrain. 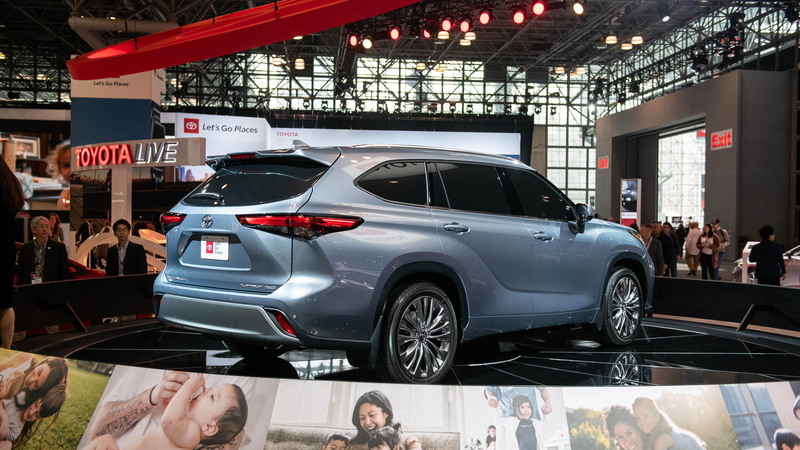 The redesigned fourth-generation Highlander made its debut on Wednesday at the 2019 New York International Auto Show and is due on sale in December as a 2020 model. 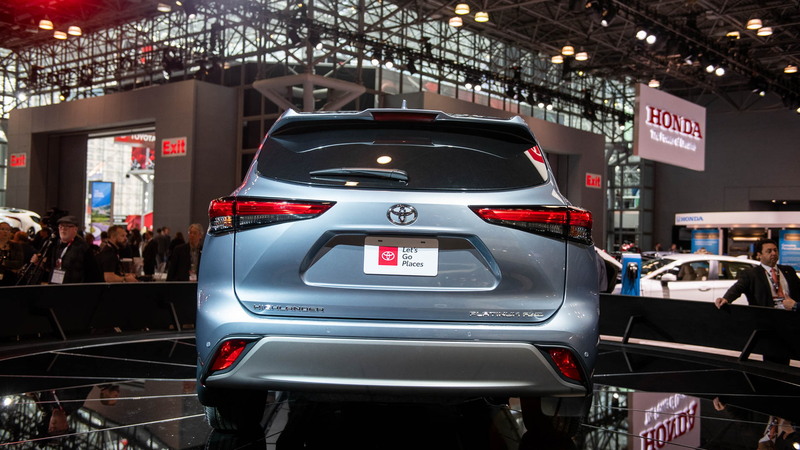 The gas-only model will be available initially with the Highlander Hybrid to arrive next February. 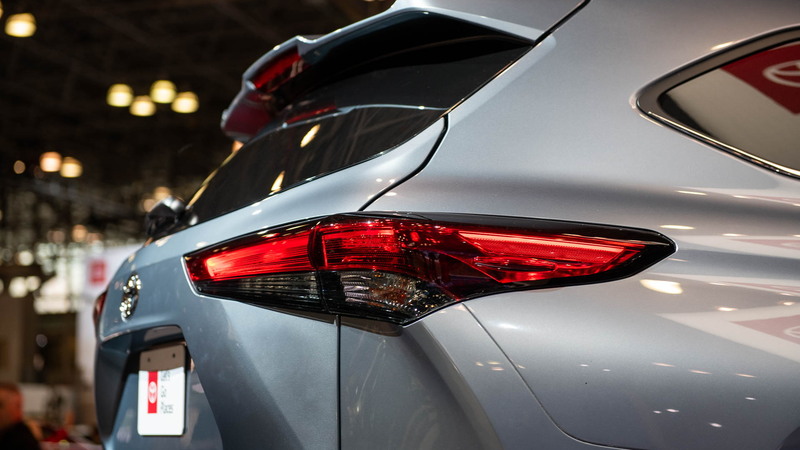 The vehicle is based on the TNGA (Toyota New Global Architecture) modular platform and measures 2.36 inches longer than the one it replaces, which helps to alleviate the issue of the outgoing model's cramped third row. The second row can be slid an extra 1.2-inches further forward than before. Buyers can choose between seven or eight seats and maximum storage space is a generous 73.3 cubic feet. The standard powertrain is the familiar 3.5-liter V-6 mated to an 8-speed automatic transmission. It delivers 295 horsepower and 263 pound-feet of torque to either the front wheels or all four. Toyota touts a 5,000-pound towing capacity when an available tow package is added. The Highlander Hybrid features a 2.5-liter inline-4 paired with two electric motors to produce a total system output of 240 hp. That's down 75 horses compared to the 2020 Ford Explorer Hybrid, but Ford estimates just 24 mpg combined versus 34 for the Toyota. And for the first time, the Highlander Hybrid offers buyers the choice of front- or all-wheel drive. 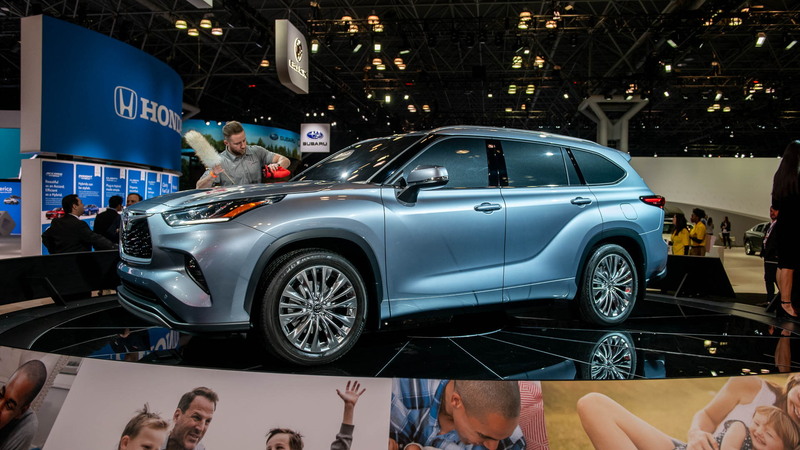 With all-wheel drive, the Highlander Hybrid receives a third electric motor at the rear axle. Standard tech include Apple Car Play, Android Auto, Alexa In-Car compatibility, plus WiFi connectivity through AT&T. An 8.0-inch touchscreen is standard for the infotainment hub but higher grades receive a 12.3-inch unit. There is also a suite of standard electronic driver aids to help prevent collisions, and additional aids can be added, including 360-degree camera monitoring. Toyota's redesigned Highlander is going to have a tough time on the market as it will be going up against the much-improved Ford Explorer. Buick's latest Enclave is also a solid option in the class and then there are the newcomers like the Hyundai Palisade, Kia Telluride and Subaru Ascent.